As new players keep jumping into Fortnite in 2019, Epic’s game continues to gain in popularity, and the company has now released a new batch of challenges for players to enjoy in this sixth week of season 8. 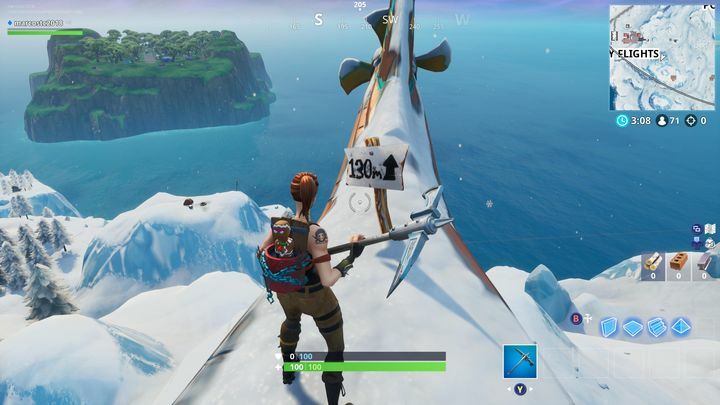 The free challenges corresponding to season 8, week 6 are the following: Visit a wooden rabbit, a stone pig and a metal llama, Visit the 5 highest elevations on the island and Eliminate opponents at Lazy Lagoon or Frosty Flights. The first challenge involves searching for landmarks on Fortnite’s map (a bit like one of the challenges seen in week 8 last season). 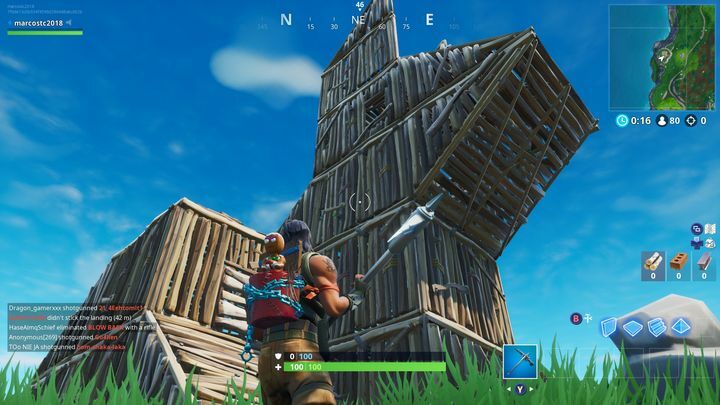 In particular, you’ll be looking for large statues of a rabbit, a pig and a llama, each made of one of Fortnite’s building materials. 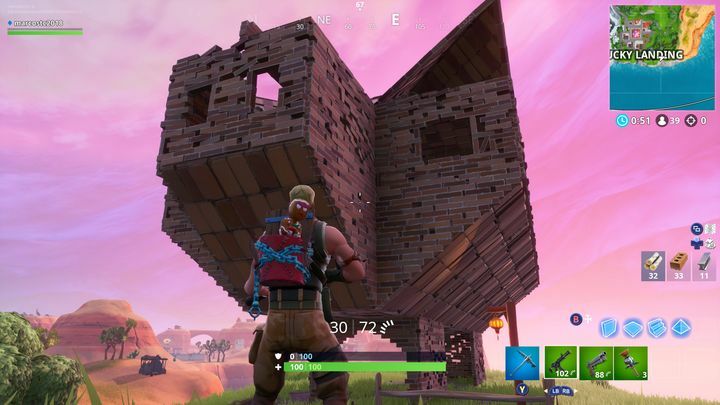 You can find the wooden rabbit north of Snobby Shores, as seen in the image below. Meanwhile, the stone pig can be found close to Lucky Landing, to the southeast. 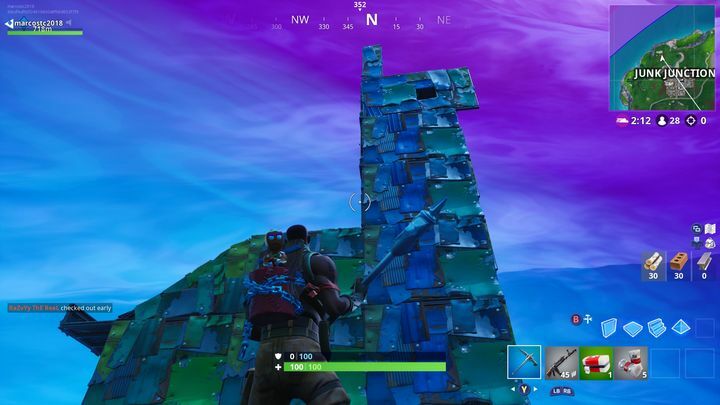 Finally, the metal llama lies to the northwest of Junk Junction. I’ve marked the locations of each of these on the map below, so that you can get to them more quickly (and it might even be possible to do so in the course of one Battle Royale game too). The second challenge of the week involves visiting the 5 highest elevations on Fortnite’s map. While there are plenty of high places on Fornite’s island, you’ve got to reach the 5 highest points in order to complete the challenge. You know you’ve arrived at the right location because there will be a sign post showing the height of the terrain at this point, as seen in the image below (this is the submarine at an elevation close to Frosty Flights). All the locations you’ve got to visit in order to complete this challenge have been marked on the map below. Have fun scaling the heights! The third challenge of the week is one we’ve seen in previous weeks already (and therefore isn’t as interesting as the other two) but will be a necessary chore for those looking to earn in-game rewards as they complete Fortnite’s weekly challenges. In order to complete this third free challenge of the week, you’ve got to eliminate 3 opponents at either Lazy Lagoon or Frosty Flights. 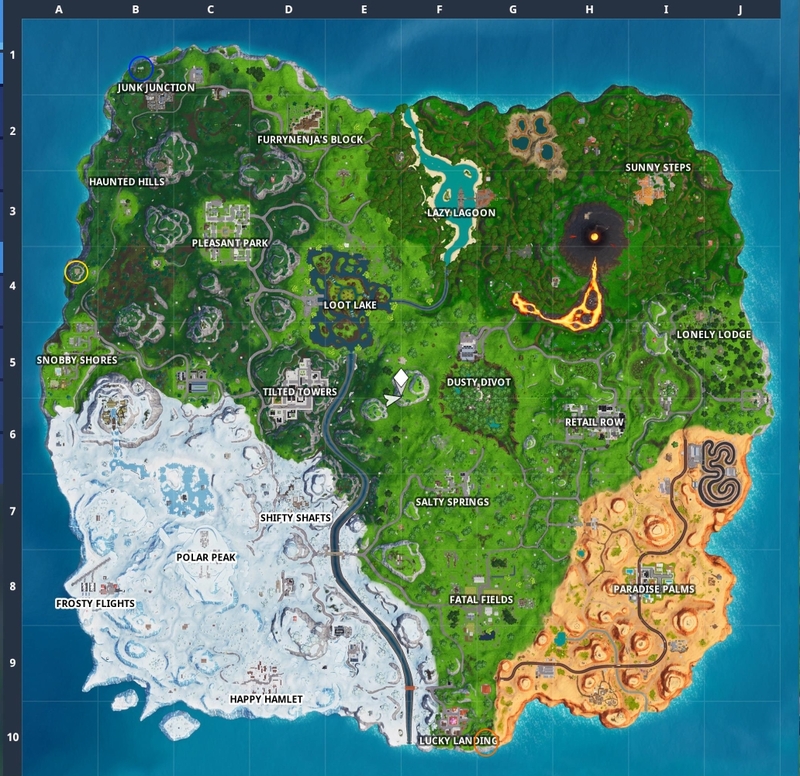 Lazy Lagoon is a location which was added to Fortnite’s map this season (and therefore is likely to be teeming with players, especially if it’s on the path of the bus), while Frosty Flights likely doesn’t have the appeal it used to, now that the Stormwing planes are gone from the game for good. As usual, one way to make this challenge easier is to play a game mode such as Team Rumble. Depending on how the storm moves in the game, the action might shift to one of these two locations, so try to catch opponents by surprise in order to score the kills you need to complete the challenge. That’s it for week 6’s challenges then, which admittedly have been a little more creative than what we’ve been used to from Epic in the last couple of weeks, so hopefully there will be plenty more surprises in store for Fortnite players before season 8 is out too.